When it comes to restaurants, the more people know about it, the more visitors you will have, it’s only natural. 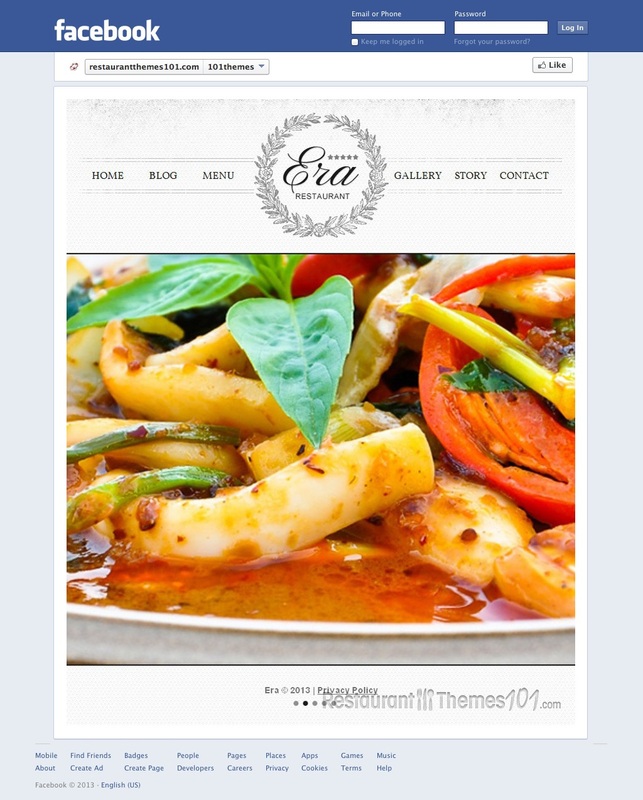 Nowadays, there is no better advertising that creating a page for your business on popular social networks, and Facebook is by far the best place for promoting your restaurant. 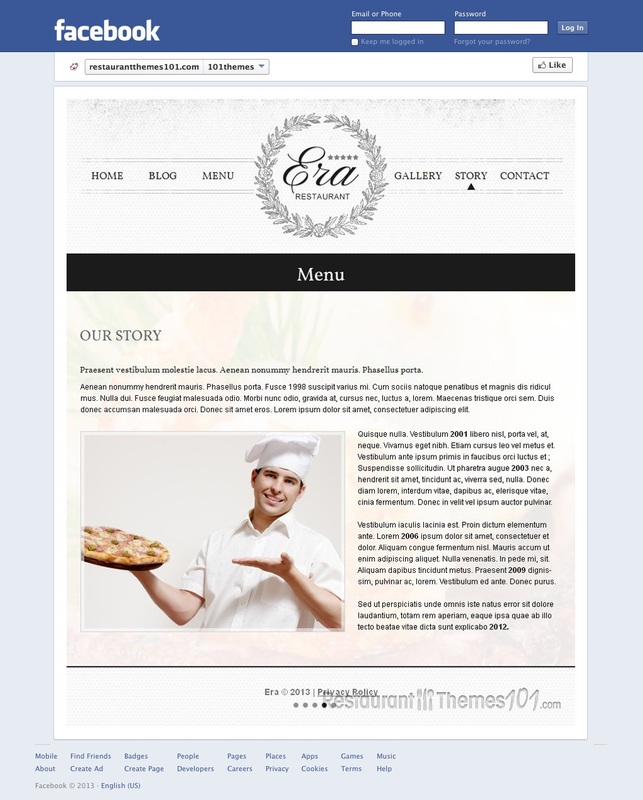 Template Monster features Era Restaurant, a Facebook restaurant page template created by Angela that will make your page attractive and diverse from all the others. 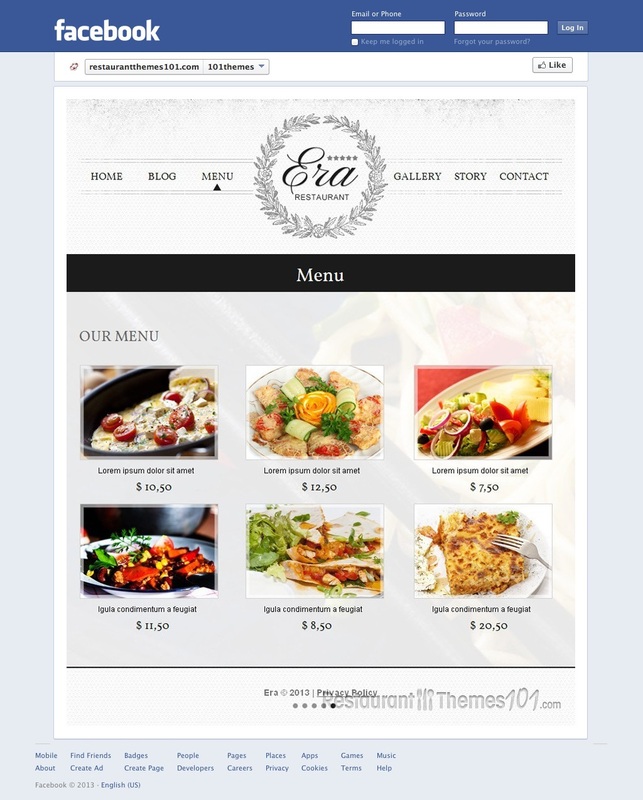 Era Restaurant features a great looking layout, with nice colors and cut patterns. A huge slider spreads across the whole front page, making a great spot for showcasing great photos of your delicacies. 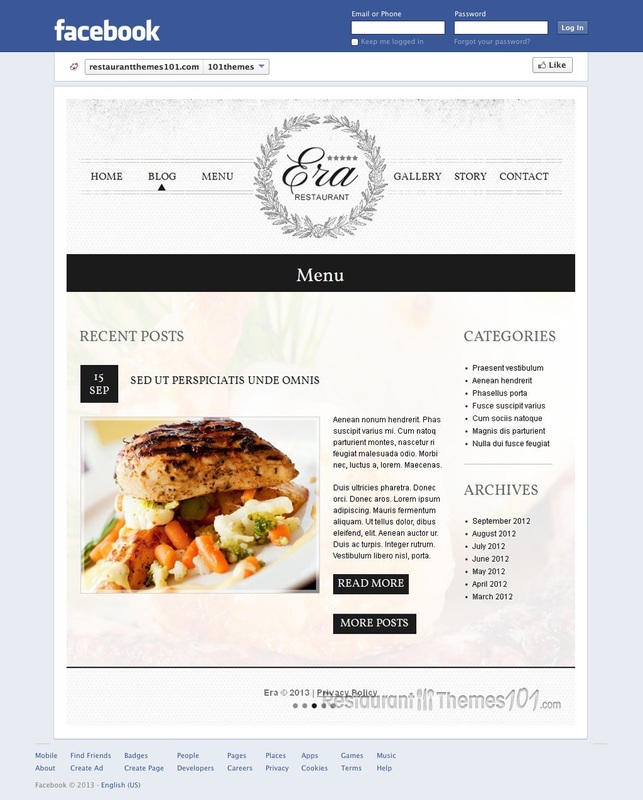 There are several sections included in this template, and they will give you more than enough content space. 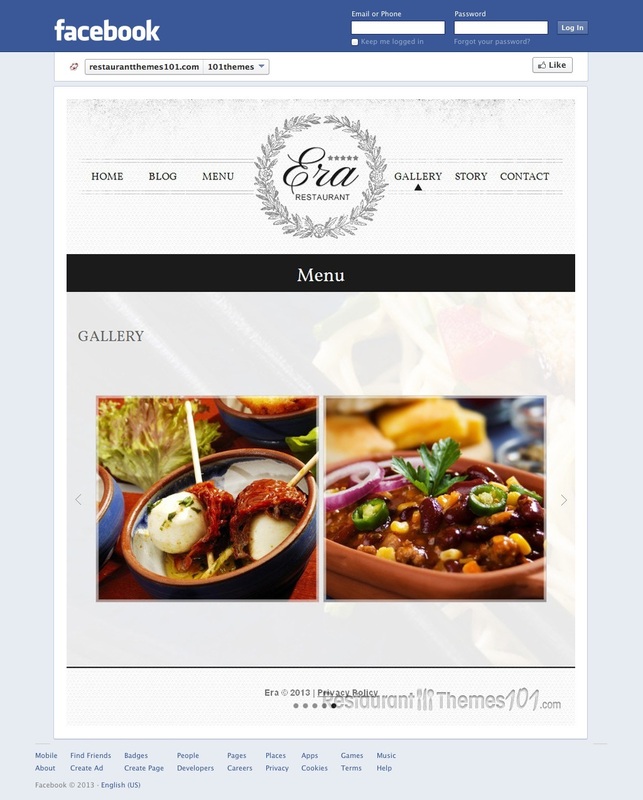 The home section opens up a drop down menu, allowing you to create many posts about your restaurant, and introduce your visitors to its history, staff, present your services, awards you’ve won, or anything else you would like to point attention to. There is a blog section featured, and this is where you can post all you want, with the possibility of nice organizing and categorizing your blog posts. The menu section lets you add photos for each menu item, along with prices. It looks compact and it is very easy to handle. You will have a separate gallery section, reserved for photos, letting you post many quality ones of your delicacies, and show off with the gorgeous looking food you offer. There is a separate section for your whole restaurant history. This is a great way of representing your business to your visitors by telling them how you got to where you are now. The contact area features Google Maps integration, placing a small map with your restaurant’s location pinned to your page, making sure everyone can find it with ease. 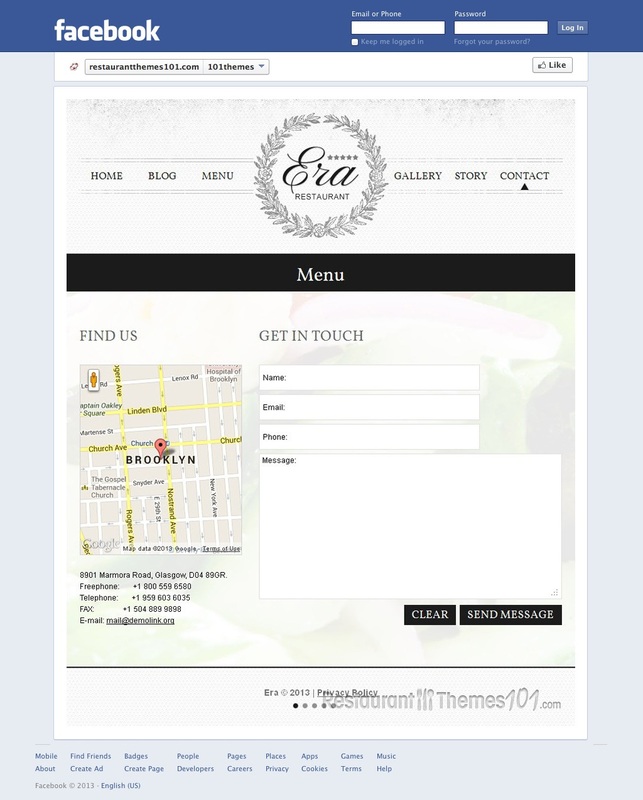 A nice contact form is also included for your guests to be able to contact you anytime.